“Now, here, you see, it takes all the running you can do, to keep in the same place. If you want to get somewhere else, you must run at least twice as fast as that”. The universe of On aura tout vu has always mixed the genius of Tim Burton. 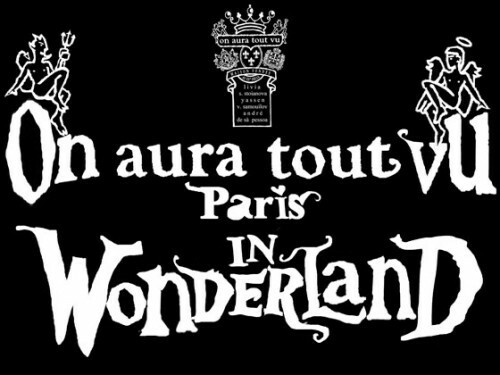 During their last show at the fashion week 2010 in Paris, the magic of Alice in Wonderland has enchanted creations of the fashion house. Playing with maps, models slip to turn in the characters of the Red Queen, and White Queen. The pins on the grounds of heart and delicate of clover inspired fantasy world of Alice.